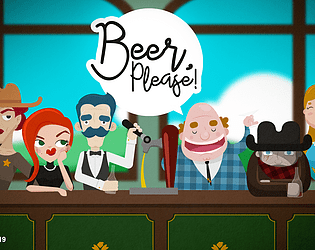 You play as a bartender and serve beer to clients while hearing their stories. Every choice has an impact. The bartender's goal is to make the most tips. There's a story going on, but for him it's just daily grind. When the story ends, it's the beginning of a new cycle for him. The game's resolution is too high, and it doesn't scale down when selecting a smaller window size. It also didn't respond to any keyboard inputs.